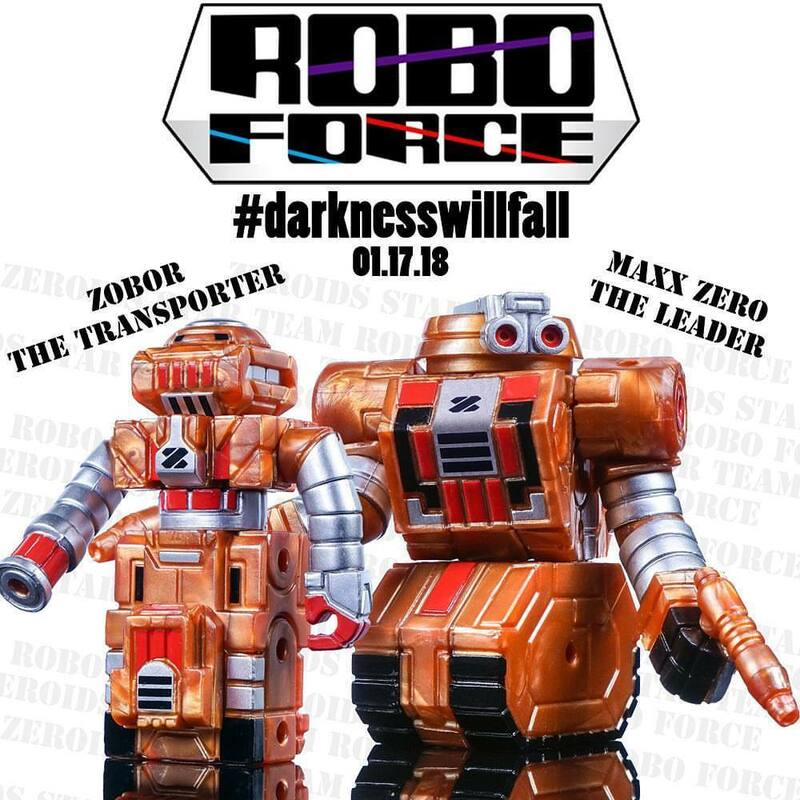 Tomorrow night, January 17th at 9PM EST, Toyfinity.com will be posting up their latest offerings for the Robo Force, Zeroids, STAR Team, and Mordles lines. That includes classic Zeroids member Zobor the Transporter in shiny Gendrone Union bronze along with matching Maxx Zero and some brand new Darkness Soldiers. Many of the new pics can be seen on John Kent's Twitter. What's the size of the new Darkness Soldiers and at what time will the releases go live? Huh. The Knight of Darkness looks to have a Dark Traveler belt, no? GBPackrat wrote: What's the size of the new Darkness Soldiers and at what time will the releases go live? 9PM EST. Darkness Soldiers are a little over 3.25". About the same height as the Glyknight Demi-Varteryx which share the same basic build of Glyan and Glyarmor pieces. kranix wrote: Huh. The Knight of Darkness looks to have a Dark Traveler belt, no? I'm fairly new to glyos and have never been part of a Toyfinity drop before. Are you able to share the price point on the Darkness Soldier and Darkness Knight? If not I understand, but just want to get mentally prepared for what to expect tomorrow night. GBPackrat wrote: I'm fairly new to glyos and have never been part of a Toyfinity drop before. Are you able to share the price point on the Darkness Soldier and Darkness Knight? If not I understand, but just want to get mentally prepared for what to expect tomorrow night. Darkness Soldiers run $14. 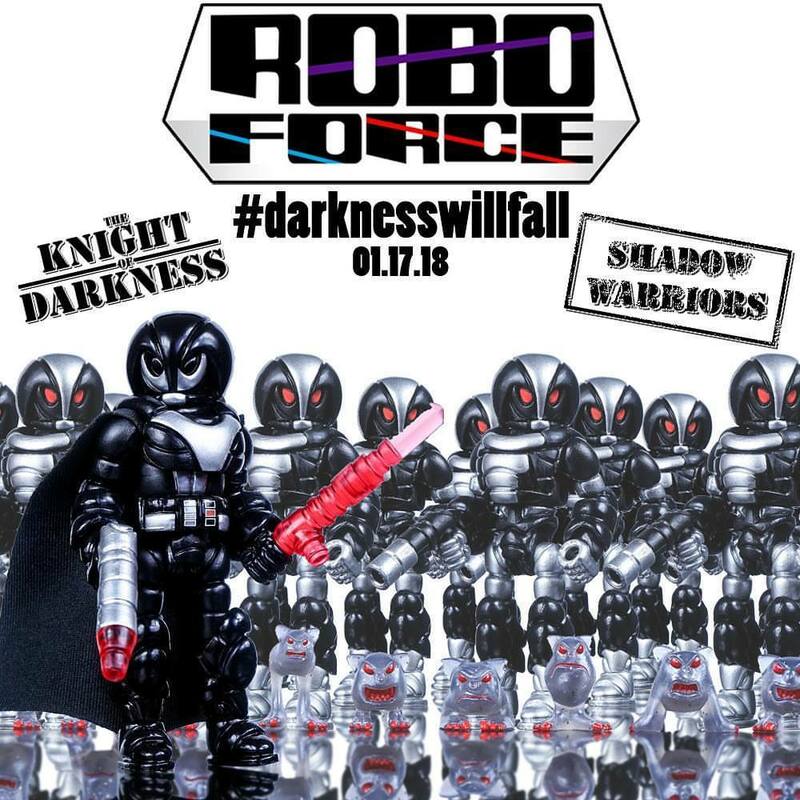 The Knight of Darkness price isn't public yet, but it will be a little higher because it includes several extra pieces (Dark Traveler Belt, Cloth Cape, Xycoss colorway Robo Force Weapons set). Mordles are $10 for a set of 10 unique monsters. I'm blown away that we are getting two Darkness figures this round, this is gonna get expensive! Witchwitchwitch wrote: I'm blown away that we are getting two Darkness figures this round, this is gonna get expensive! FYI the extra parts from KOD were LSA torso, belt, scarves and Glyan heads. Talyn wrote: FYI the extra parts from KOD were LSA torso, belt, scarves and Glyan heads.